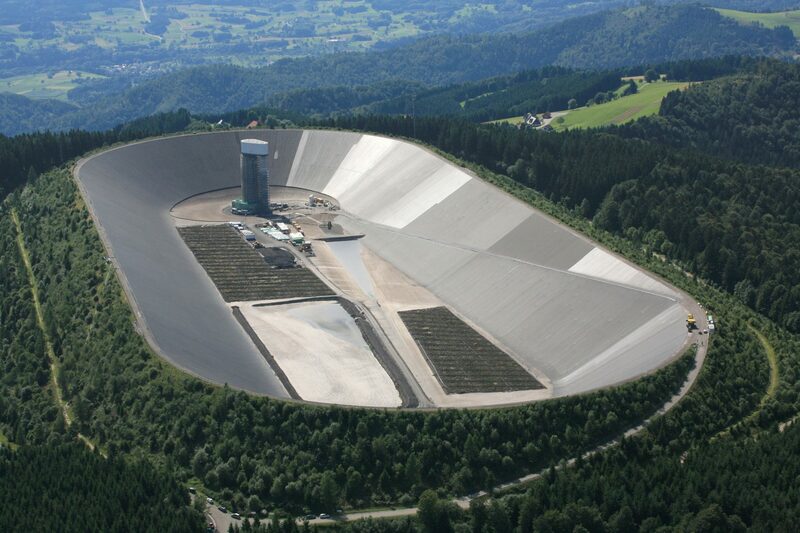 The sides of the reservoir have a slope inclination of 1:1.6, creating a very challenging working environment. This is WALO’s particular area of expertise as the company has specialist machinery and equipment developed speciﬁcally to operate on very steep slopes. The Dense Asphaltic Concrete (DAC) mix that WALO used for lining the slopes for this project is also specially designed for use on very steep inclines such as these, being quick to lay, very strong, ﬂexible and stable.